The following is a guest post by Chams Edhia Riahi, a drone enthusiast and founder of The Drone Logic. This is the third in a three-part series about drones and wedding photography. Read part one here and part two here. A wedding is undeniably one of the most beautiful moments a couple will experience together. So just as two different people join together as one couple, why not bring two cameras — one on land and one in the sky– together as one incredible means of capturing the day? Use a drone to take full advantage of the venue and every element it has to offer. Drones offer unique shots and perspectives of the many beautiful places people choose for their special day. Whether an intimate beach wedding or a large event held at a mountainside resort, a drone can capture the best that the venue has to offer. The video below showcases some great footage only drones are capable of. Forget the bad cover band. If you really want to make your wedding a unique experience and something that their guests will always remember, a drone can do that. Of course, propellers can make some noise and annoy people. Don’t let the drone overtake the wedding; it should complement the wedding. Consider quieter drones, such as the DJI Mavic Pro Platinum, which upgraded the original Mavic Pro via FOC sinusoidal driver ESCs and 8331 propellers for a quieter flight experience. Drones offer the advantage of capturing unique angles and views from the air, and they are able to take natural-looking images without the use of a traditional flash and intruding photographer. Relatives may get in the way while trying to do a “favor” by taking more shots, but the drone is higher than that, meaning grandma’s hand holding an iPhone in your shot won’t matter. The traditional photographer can’t just walk down the aisle and under the altar. But drones can go places that traditional photographers can’t, quickly moving from a wide shot of the venue to tracking the bride as she walks down the aisle. However, drones only serve as a supplement to traditional, land-based photography and can not replace it. They add an extra element and a high-tech touch to this special day. 5. They are great for group shots. You know that awkward moment where the photographer needs to climb on a ladder to fit the whole group in their frame, and still can’t fit everyone in? Drones are a great option for taking photographs of large groups, whether a large bridal party or a large number of wedding guests because they can get a shot theoretically as wide as you want. Why is it a good idea to get into taking professional wedding photos with a drone now? Drone technology is rapidly becoming more and more advanced, more popular, and more accessible every day. The FAA recently estimated that commercial drone usage will grow from the 42,000 as seen in 2016 to 420,000 by 2021. Tap into this popular, still unique form of photography. Remember, do your homework, purchase high-quality equipment, keep up-to-date on the latest technology, and master your craft. 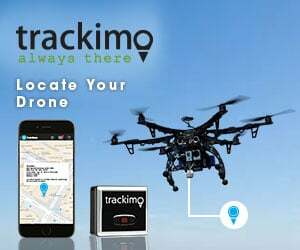 Following his passion and ambition for writing and technology, Chams Edhia started TheDroneLogic.com, an authority site where he writes about the best drones on the market, tips on how to fly them and other industry announcements. Thank you Sally for helping making the series go live. I’m sure it will be a good resource for people considering starting such business.